It’s a fact that the most prosperous U. S. construction companies grew with highly profitable federal contracts. Each of them, without exception, brought in “experts” to teach them the “insider secrets”, the rules and the “exceptions” to the rules, that gave them the competitive advantage that they needed to trounce the competition. Now, for a limited time, you can get access to the same “superior knowledge” that is not available anywhere else. Look over the attachments, including the handwritten “after Workshop” reviews from our last event, read the following questions and draw your own conclusions. This will help you make the right decision . . .
1. Did you know the U.S. gov’t owns and maintains 900,000+ buildings? 2. Have you considered that our gov’t spends more than $300 Billion in repairs and replacement of tens of thousands of roofs, HVAC and Electrical Systems and other construction services every year? 3. Were you aware 98.7% of specialty contractors have not registered at www.SAM.gov and are therefore not qualified to get federal contracts? 4. Did you know that 97.3% of general contractors are not registered or qualified to get federal contracts and that most of those that are registered, do not really know how to bid or get the projects available? 5. Have you read “Show me the Money” as published in Commercial Construction Magazine? 6. 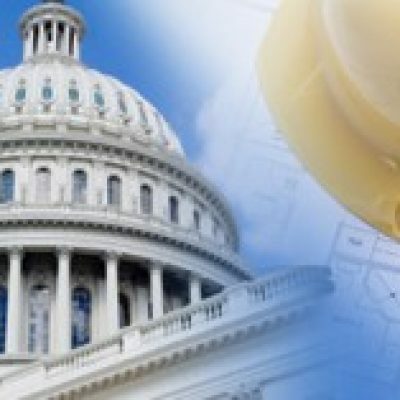 Are you aware that in the next 120 days, over $87 Billion of federal contracts will be awarded to repair and replace roofs, HVAC, electrical and other construction services in the U.S.? 7. Have you considered that less than 2% of the licensed contractors will be bidding on that $87 Billion worth of construction services? 8. Will you get the best federal construction expert to teach your team how to get highly profitable federal contracts before your competitors do? 9. Do you understand that the fastest way to increase profits is to get more highly profitable contracts from the organization that makes construction payments monthly, and by law, within 14 days of receipt of approved invoice? 10. Are you willing to make a “no risk” investment and get a 100% guaranteed ROI and increase your market share of the federal roofing, electrical, HVAC and construction services business? If you are serious about profitable growth, pick up the phone and call Doug at 512-750-2677. Ask how you can get your fair share of this $300 Billion/year market. He’s in the business of helping you get it.